You always wanted to be a farmer, and you noticed recently that anyone with food to sell has been making a killing on record high prices.Well now’s your chance to invest in farmland in a huge way. A Russian farming conglomerate, Ivolga is selling the world’s largest farm for around $1 billion. 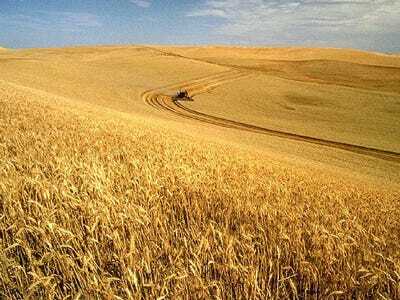 The 1.5 million hectare of farmland are spread across Russia and Kazakhstan and contains mostly fields of wheat. Of course there are some risks involved with this farmland. Food prices could collapse, or drought could cause another summer of wildfires in Russia.